Pride Windows & Siding, Inc.
Fox Valley Gutter Cap, Inc. Comment: mutli-story home with gutters that continually clog. I also have a few downspouts that should probably drain farther from the home. I have 3 Siberian elm in close proximity to my house that provide sticks and leaves year round. Comment: Looking for someone to fix leaky corner gutter. Looking for someone to fix broken cap/cover on heat vent pipe on roof. Need to have the cap/cover to be black. Comment: Looking for someone to fix broken cap/cover on heat vent pipe on roof. Need cap/cover to be black in color to match vent pipe. Looking for someone to fix leaky corner of gutter. Best Carpentry & Exteriors, Inc.
Schaumburg Gutter Cleaning & Repair Services are rated 4.77 out of 5 based on 1,329 reviews of 54 pros. 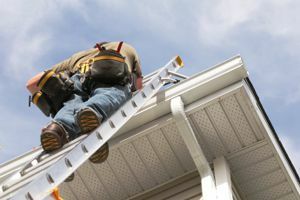 Not Looking for Gutters Contractors in Schaumburg, IL?